My family’s diet is evolving towards more cultural, salubrious and responsible one. It has been a monumental past few months for me. A series of events in my life culminated in my decisions to feed my children Kosher food that is responsibly raised and/or harvested food. This has greatly expanded our diet, allowing us to explore new types of cuisines and an array of new foods. I cannot face the thought of chicken or any meat after “The Incident.”My diet has become what I describe as occasionally “ovo (eggs)-lacto (dairy) -pescaterian (fish)” – but mostly vegetarian. Tofu, legumes and lentils are my bestfriends. Do not fear: (dark) Chocolate, (Spanish) Red Wine and (aged sheep or goat) Cheese and I are still very, very (did I mention “very”?) good friends, as well. We have moved many times over the past decade and currently live in area that does not have many Jewish people. I want my kids to be open-minded, integrated citizens of the world. I also want them to know who they are: Jewish. This year, Snu Magoo participated in her school holiday play; she attends an Episcopal Montessori school. We gave Christmas gifts to friends and teachers. All of these things are fine. The other day, Snu Magoo said “Christmas is about giving. Hanukkah is about getting lots of gifts.” Something had to give. As I grow older (another birthday on Sunday – they just keep coming! ), I realize the importance of cultural traditions, such as keeping Kosher and observing Shabbat and other holidays. Warm memories from such practices in the home shape and impact our children’s religious choices for years, decades – life. Jews are a very small percent of the national and international population, and I hope that my children choose to pass on their values and beliefs to their own children. This week, we ventured into new culinary territory, including a trip to Asia. Healthy, happy peanut sauce is sugar, spice and everything nice. It tastes spicy, sweet and rich and has lovely depth of flavor. Introduction of elements of Thai and Japanese cuisine give pizzaz to the original recipe from Self magazine. Tossed with Japanese soba buckwheat vermicelli noodles or short grain Japanese brown rice, cooked according to package directions. Drizzled over sautéed vegetables of your choice. 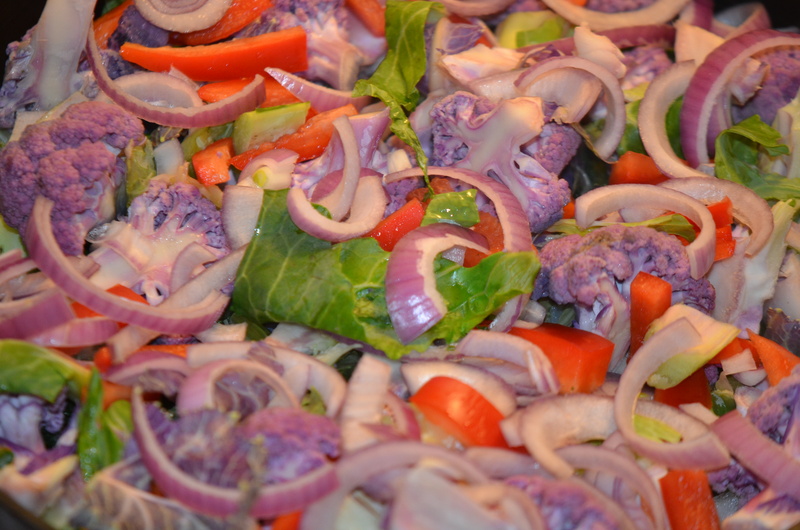 Last night, I chose organic red bell pepper, onion, carrot – and local “graffiti” cauliflower and broccoli rabe. Paired with grilled, Kosher chicken breast or teriyaki tofu – and garnished with black sesame seeds, sliced scallions or chopped peanuts. Served as an (ideal) dipping sauce for spring rolls. The sauce is adapted from a recipe at Self Magazine. Combine the sesame oil, garlic, ginger, cilantro, peanut butter, soy sauce, hoisin sauce, brown sugar, rice vinegar, chile paste, water and lime juice in a food processor. Process for five minutes. Place the sauce in a (covered) mason jar or container of your choice. Meal Idea: Drizzle the sauce over the cooked soba noodles or short grain brown rice, sautéed vegetables and sliced, grilled chicken. Serve additional sauce alongside. Garnish with sesame seeds, sliced scallions and chopped peanuts. *Use the recipes in the links to make your own vegetarian fish sauce or vegetarian hoisin sauce. Or, purchase either at any Asian market. Posted in Dressings, Dips, Rubs, Sauces + Spreads, Recipes, Vegetarian Main CoursesTagged Kosher, Peanut Sauce, VegetarianBookmark the permalink. Love the combination of sesame oil and peanut butter. Very interesting recipe with full of flavours. Looks delicious Shanna! This would be a great sauce to bring to a Super Bowl party too 🙂 By the way, I love how that purple cauliflower in your photos really pop out. Nice presentation! Shanna, I understand exactly what you mean about wanting your kids to be proud of their identity in the global community. My son was writing applications for summer programs over the winter break, and one thing he said stood out. He was talking about his involvement in his school’s Interfaith Program, and he said,that he is comfortable and secure enough in his own culture that he can enjoy others without worrying about losing his identity. I was SO proud of him, and I thought to myself, “Yes! Parenting success!” It sounds like your children are on that same road, with a good, positive sense of self, without being insulated from the real world. -First, (a little early) Happy Birthday, Shanna! Have a great Birthday weekend! -Children grow to be what they see at home. Loving, sensible, compassionate parents, loving, sensible, compassionate children. -I love peanut sauce, and yours is fabulous. I am not keen of fish sauce and you mentioned ‘vegetarian’ fish sauce. Does it smell and taste fishy? Why ‘vegetarian’ hoisin sauce… is there any animal product in regular hoisin sauce that there is a vegetarian one? Do you get the vegetarian sauces and the Asian chili paste in regular market or from Asian market? First off happy early birthday! And a three day weekend to boot. 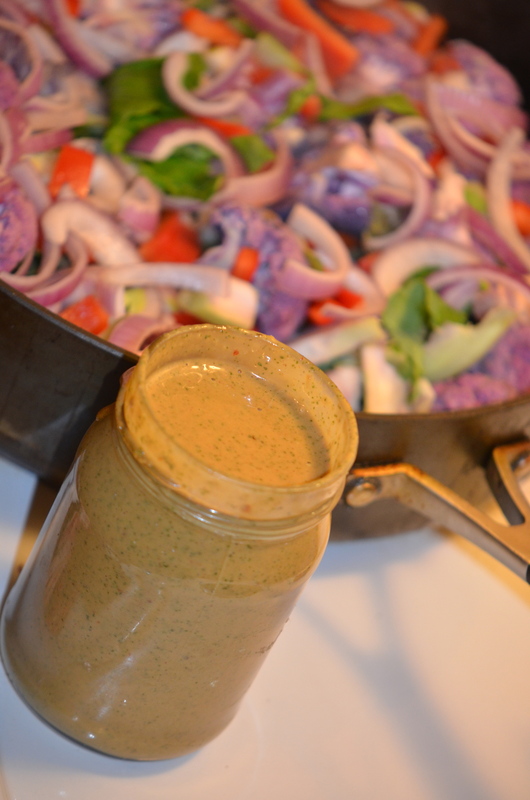 This sauce looks wonderful, we are all fans of spicy peanut sauce at our house. I have just started making more of our own sauces and condiments too so I will definitely give this a try. And I totally understand what you mean about raising your children. We live in the Bible Belt where I find many people to be rather closed minded. We are trying to raise our boys to be accepting of everyone. They go to a Methodist preschool and I workout at the Jewish Community Center where they go to camp in the summer. They learn a little of everything and are loving compassionate boys. Your little ones seems to be doing the same! Oh yum. Interestingly I tried to make peanut sauce for stir fry the other day but it turned out a bit bland so I might have to try adding some of these extras. I do love peanut on noodles. This sauce sounds AMAZING ! Oh no, I thought you meant a food incident. So sorry about the chickies. Did you ever find out who was responsible? No one definite, unfortunately. 😦 Poor chickens. Thank you for asking! This is my first visit to your blog… and a lovely one it is. It is nice to meet you.. As I was reading your post, I did go to read about “The Incident” and am horrified. I can’t understand how someone could have such anger, or even evil inside of them. What makes a person “snap” like that? I’m sorry that you had to go through that horrendous experience. I cannot blame you for your choice in diet at this point in your life, especially for your children. The sauce looks amazing. It is a “must try” and a “must have”!! Love it! So funny, I was looking at an Asian-inspired noodle dish that had a peanut-based sauce for next week’s menu. My Chinese Mother-In-Law arrives next week and what a lovely meal this would be to serve on her first night with us. This of course will have to be before she takes over my kitchen! P.S. I look forward to hearing more on your kosher kitchen and recipes for the Jewish holidays. I find it so interesting! Hope you have a great birthday! If you celebrate it, that is. Some people don’t like all the fuss. Including me. Besides, I seem to be stuck at mid thirties! For ever. What a great recipe! It sounds very delicious! What a great way to add some zip to almost anything. Love the recipe, Shanna. Well done. What an interesting recipe and what a heartfelt post! I’m a bit surprised though that kosher food expanded your diet as opposed to narrowing it. Interesting! And oh no, the incident! I’d forgotten! :O And wait, fish sauce is an ingredient of this recipe? Is it your birthday today?? This reminds me of Indonesian peanut butter sauce! Shanna sorry I was beginning to shut my computer last night, and hadn’t finished writing. I think its beautiful what you want to do to bring down your beliefs and value to your children. One of the things that I realise in Europe, is that even though in Spain for example, many traditions are still carried out, the “europeanisation” of the EU is slowly making beautiful traditions disappear, or fuse into something different, its a pity. Along with that and with the decline of belief in religion, many people forget about moral values. So yeah, what you are doing is very important. So, is it your birthday? Well HAPPY BIRTHDAY Shanna!!! I hope you’re having a beautiful and yummy day with your family and loved ones. Thanks for your kind words, thats one of the nice things about blogging, sharing our traditions and important values. By the way last night I made the R recipe at last, yum! Shall have to wait a few days to post it as tomorrow I have to go to Madrid for the day to meet the rest of my new team and am preparing some presentations. Again, wishing you a wonderful day full of love and happiness. Besos! Thank you, Sofia. Looking forward to “R”! Besos! Goodness this has me dreaming of fresh spring rolls. Yum!! This looks great! As always–this looks and sounds delicious. We have very similar food tastes, it seems. I don’t eat meat or chicken, but I do eat seafood, eggs, and dairy (and wine and chocolate). I love lentils and beans. My husband likes meat, but he will eat anything I cook. 🙂 Our younger daughter has been a vegetarian since she was in third grade. We were raised “culturally Jewish,” but with no religious education. My husband isn’t Jewish, but we celebrate the major holidays. I hope you have a wonderful birthday. I’m sure it will include lots of great food–and tons of chocolate–and a glass or two of red wine! Happy Birthday sweetheart! I hope it’s salubrious! I can’t think why your children won’t be proud with YOU at the helm!! Best, best, best!! Thank you, Susan. 🙂 It was a good birthday, because I ate two slices of my favorite carrot cake! Yum! Happy Birthday my sweet Shanna! May it be a great year for you. And what you’re teaching your children is wonderful. They will carry those values and principles with them forever, passing it on to their children, and so on. It’s a beautiful thing! What you’re teaching your children is great. I think it’s definitely important to show your children where they came from, and to continue the traditions of your culture and heritage. I love peanut sauce and often mix it with noodles! Love how this one has spiciness added to it. Thanks for the great recipe Shanna. Though I am not a vegetarian by any means, one of my favorite foods is tofu. Baked, grilled, or simply served with grated fresh ginger, green onions and soy sauce, yum! Aloha! Belated Happy Birthday, Shanna. I wish you a fabulous year ahead and many many more. 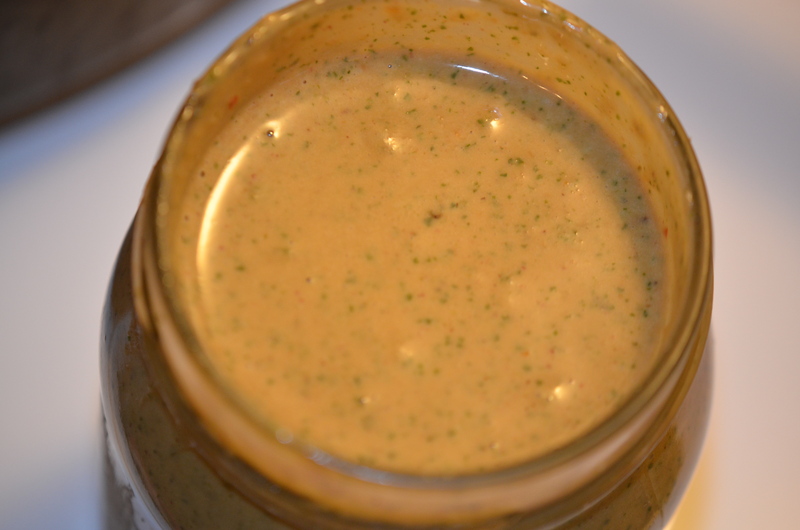 Your peanut sauce would be delicious on so many things as it has to be very flavorful. This looks so delicious- will have to give it a go! Let me know how it goes, Anna. Thank you for stopping by! Enjoy your day, PRCCSS! Shanna, I sent you a message. Check it out. Thanks. … and I sent a response after I dropped off the little misses at school this morning. 🙂 Happy cooking! 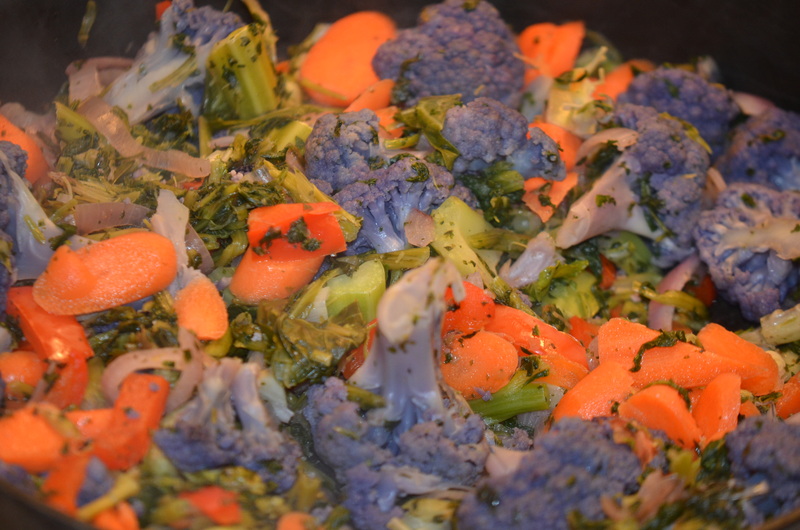 I admire the colour scheme of the vegetables. I haven’t made peanut sauce in ages – it’s time I tried one and this will be it. Whoa. A spicy peanut butter? I’ll have to try this some time since I’ve never had spicy pb before. How spicy is it? My tolerance, unfortunately, is…. not the best for spiciness.